Why hello there, world-wide-web. It sure has been a while. I would love to say that I am off lounging about and relaxing in the summer sunshine. In fact, I am right here—home in freezing and raining San Francisco. In the summer, I actually work more hours in a week that I do during the school year. This is partially on account of the fiscal realities of summer in piano teacher land; but to be honest, I cannot resist the urge to become my alter ego: Miss Luba, the fun, hip, musical theater camp vocal coach! I have worked for San Francisco Arts Education Project every summer for the last seven years as a vocal coach and accompanist. The Broadway Bound summer camp is a chance for kids ages 9-14 to develop the skills of a “triple threat”—singing, dancing and acting. Working all day in front of large classes of high-energy theater kids is a total shift from my usual routine. Except that after camp, I go ahead and do my usual routine too, teaching my piano students who are in town for the summer. Every hour of the day is packed and I always feel like I am forgetting something crucial that needs to get done…Still, it sure is a lot of fun! I’ve realized over the years that I love my camp job because it lets me indulge in a bit of instant gratification. Over the course of a two-week session, I get to see true transformations take place! 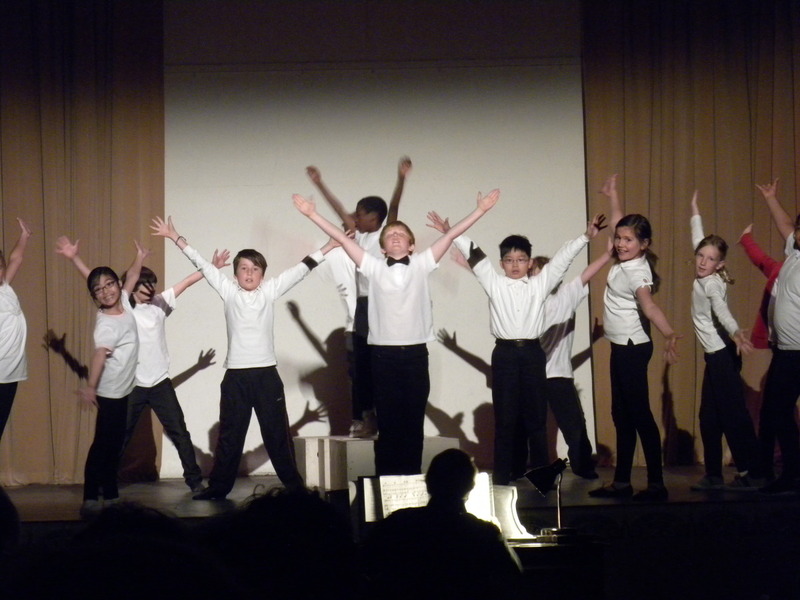 It is such a thrill to discover a child with passion for performing and giving him a push to really shine. Not that I don’t regularly thrill at a relaxed thumb, a level wrist or a curved knuckle, but, well, those little things take a long time! And while those details are occasions for a teacher’s celebration, their subtle drama is often lost on the student. Not so with the addictive excitement of getting on stage, belting your heart out and nailing your choreography! Miss Luba’s alter ego also approaches teaching music with a different energy in this environment. I am able to be both closer to the kids, and to be tougher with them. It makes me happy to find that even when I am exhausted after a day of camp, some of that “theater” intensity finds its way into my piano lessons! Last week, our campers had a special treat. The young lead performers of the Billy Elliot national tour came and presented a master class. It was quite the big deal for our youngsters, a few of whom even got interviewed by the local news! Here’s to a bit of instant gratification now and then! This entry was posted in musings and tagged sfartsed. Bookmark the permalink.